It was in devoted service to our country that our beloved grandfather found his true calling in life. Grandpa Joyce joined the military in 1936 and became a member of the original Band of Brothers during World War II. While stationed at Governor’s Island he began his printing career, and when he was eventually transferred to Japan his superiors quickly recognized that he was not only highly skilled, but also entirely trustworthy. He was promptly given one of the highest security clearances on the base and began printing maps, top-secret documents, passports, Japanese currency, and daily situation reports. 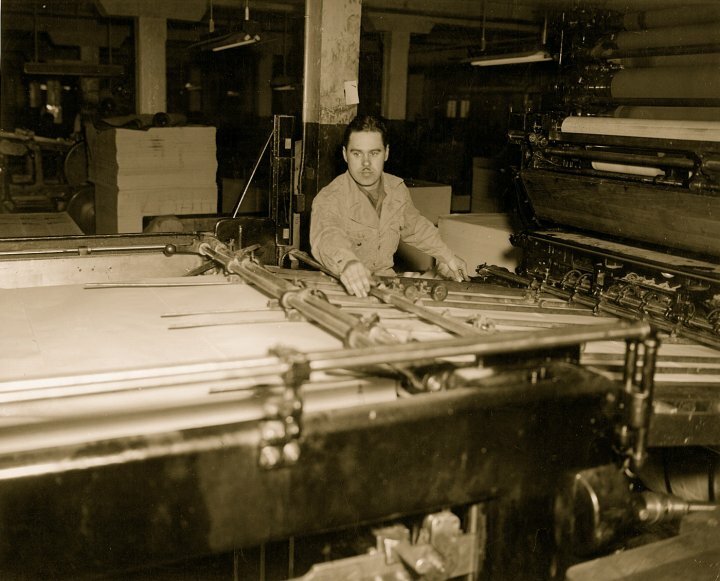 When he retired from the military in 1963, Grandpa Joyce took his impressive printing experience to Palo Alto, California, where he settled and began a 16-year career in the publishing department at Stanford University. His passion for his work was apparent to all – especially those in his own family, who witnessed the deep devotion and integrity that characterized everything he did. As often happens, we – Grandpa Joyce’s children and grandchildren – were infected with his enthusiasm and wholesome work ethic.